Bred Pudding Collective founders Russ Ralph (R.U.S.S.) 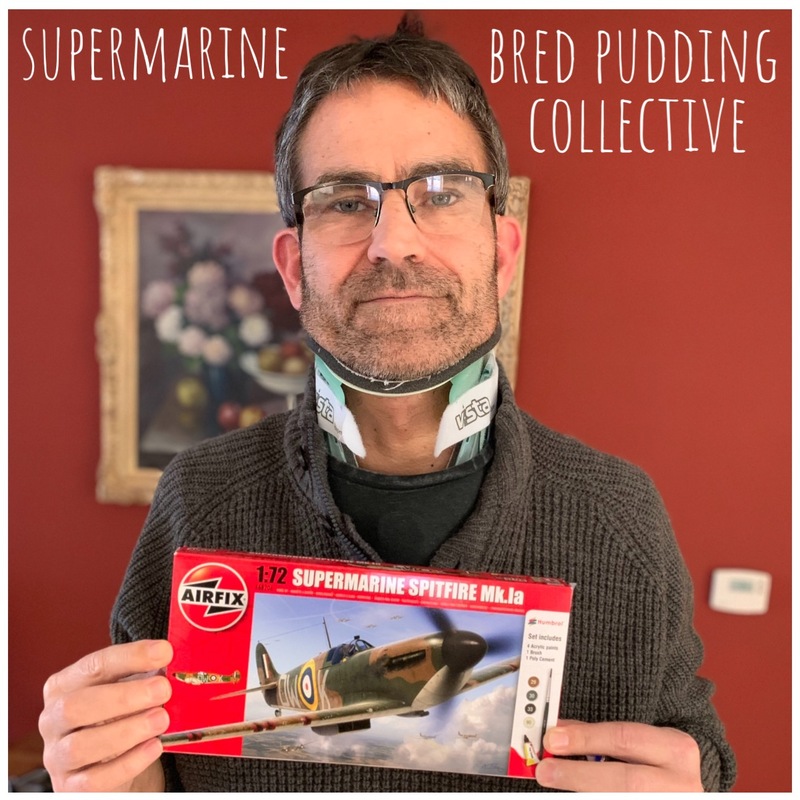 and Paul Conneally (Little Onion) discuss the notion of performance and performance art conducted in private through their current ongoing artwork SUPERMARINE. The phase of work they are currently at involves Russ making a cardboard model of a SUPERMARINE Spitfire aircraft from a book that his wife Julie found in a charity shop. This follows the making of airfix models of the spitfire and a BF 109 Aircraft .. both as performance pieces undertaken in private and shared so far only via internet missives. Will the pair be allowed to exhibit the works at the Battle of Britain Flight museum? Will they be allowed to touch the planes? Does size really matter?